Lots of organisations have already come on board with the aim of building one of the U.K.’s biggest ever community events. The Archbishop of Canterbury has offered his full support alongside organisations such as RNLI, RSPB, Countryside Alliance, Help for Heroes, The Scouts and Girl Guides, and many more. 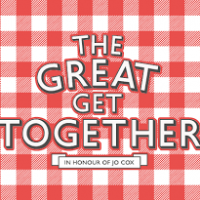 It is hoped that communities will hold events on the 17 and 18 of June such as shared barbecues, street parties and picnics. Some of these events will be very simple and some will be quite elaborate.
. She would also like to hear from anyone organising an event. There is of course no pressure on anyone to organise anything but it may be that this anniversary provides you with the opportunity for ‘Engagement: living out Christ’s love and hope’ as highlighted in our LIFE vision. It may also be that you are already involved with summer fairs and festivals. Whatever your situation, my prayer is that we continue to engage with others in our communities in creative ways that deepen relationship and enable us to share the transforming gospel of Jesus Christ who came that we might have life and have it to the full. I am deliberately keeping my diary as free as possible over the weekend of June 17-18th. 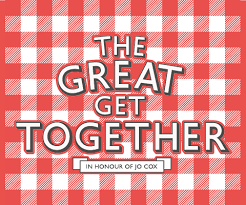 Do let me know if there are events in your area which will enable me to participate in ‘The Great Get Together’. We have a Community Engagement page on our website for more information about holding this type of event.